I hope that those who celebrated Thanksgiving really enjoyed it. We had a wonderful holiday. Above is a painting by Donald Jurney, a contemporary American landscape artist. 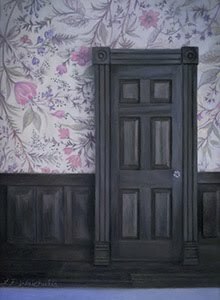 I came across his work through The Hidden Place blog. 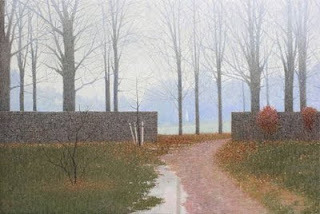 I would love to find some larger images of his paintings online and see his work in person. You can see more examples of his work on Donald Jurney's website. A podcast of Anthony's radio interview about his work and our Capturing Realism show is now available. Click the following link to listen to the WVIA Art Scene interview. Hey i am doing a art report on him.......just thought that was kinda cool. Definitely a good subject to write about. His paintings are very interesting. Your welcome Donald- your work is wonderful! Thanks for the information!